With the prices of some used cars approaching that of an identical new car as well as the chance they may qualify for an online car loan for either one, car buyers with bad credit need to be aware that some new car advertising is designed to mislead shoppers. At Auto Credit Express we know that some of the tactics used by a few new car dealers haven't changed much during the past two decades. We know this because that's how long we've been helping consumers with questionable credit find those dealers that can offer them their best chances at car loan approvals. We also know that everyone at some point has seen one of these ads. The legitimate ones are tied in to auto manufacturers programs that offer buyers special interest rates, lease programs (to qualified buyers), and rebates on certain models. But a few new car dealers take things a step further by promising shoppers more: even lower interest rates, higher trade-in values and free options such as upgraded sound systems and sunroofs. In fact, manufacturers charge all dealers the same amount for a given model. While there may be incentives based on volume, this is not always the case and when it is the smaller dealers are given lower sales targets, while higher volume dealers have to sell more cars to reach their incentive targets. So if every dealer essentially pays the same for their vehicles how can one dealer offer you more for a trade-in or throw in a sunroof for free? If you've ever been to a carnival and watched the shell game in action, you know that it involves moving 3 shells around with one of them hiding a pea. No matter how the shells are moved, the pea is always somewhere. The same holds true for the price of a new car. No matter how many things you get for "free", the price of the car has to change to account for the additional options. Somehow, somewhere, you're going to pay for that sunroof or leather interior. But consumers aren't always savvy enough to understand this - especially when they're caught up in the excitement of buying a new car. I remember an actual incident a number of years ago. I'd spent a great deal of time with a customer regarding the vehicle price and the value of his trade in. I even emphasized the "difference" price (the price of the new car minus the trade), but he was sure he could get more for his current car. Two weeks later he came by with his new car – which he hadn't purchased from me. The reason he bought the car at the other dealer? They gave him $500 more for his trade - and he proudly showed me the actual paperwork to prove it. Here's what really happened: they did give him $500 more for his trade, but they also charged him $700 more for the new car- something he either chose to ignore or didn't bother to check – meaning he actually paid $200 more at the other dealer. This guy thought he was smart, but he wasn't. • Does the advertised trade-in allowance apply to all cars, regardless of their condition? Are there any deductions for high mileage, dents, or rust? 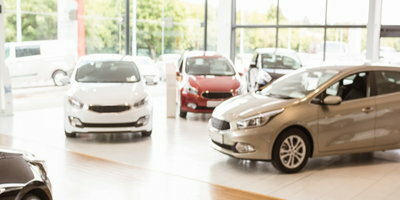 • Does the larger trade-in allowance make the cost of the new car higher than it would be without the trade-in? You might be giving back the big trade-in allowance by paying more for the new car. • Is the dealer who offers a high trade-in allowance and free or low-cost options giving you a better price on the car than another dealer who doesn't offer promotions? • Does the "dealer's invoice" reflect the actual amount that the dealer pays the manufacturer? 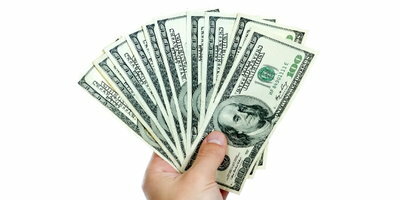 You can consult consumer or automotive publications for information about what the dealer pays. • Does the "dealer's invoice" include the cost of options, such as rust proofing or waterproofing, that already have been added to the car? Is one dealer charging more for these options than others? • Does the dealer have cars in stock that have no expensive options? If not, will the dealer order one for you? • Are the special offers available if you order a car instead of buying one off the lot? • Can you take advantage of all special offers simultaneously? As with any financial transaction, read the buyers order and the bank contract to verify that it corresponds to the terms that you agreed to with the dealer. Any discrepancies should be put in writing before signing any paperwork. Finally, look at the entire transaction to determine the real, bottom line price and base your decision on that. One more thing to keep in mind: at Auto Credit Express we match applicants that have experienced car credit problems with dealers that can give them their best chances at approved car loans. So if you're ready to reestablish your auto credit, you can begin now by filling out our online car loans application.